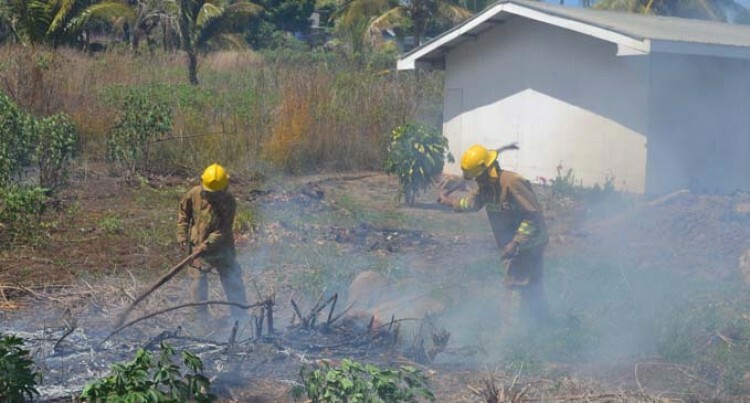 Quick response by the National Fire Authority (NFA) Labasa station has saved a church building in Tuatua Housing from being razed to the ground. Open Heaven Christian Centre pastor Harold Nandan said he was very grateful to the NFA officers. Mr Nandan, who is a taxi driver in Labasa, said he was following the fire truck and was surprised to see that it stopped in front of his church. “I saw them rushing out to put out a fire in the garden which is just few steps away from my church,” he said. “I thank God for his mercy and thank Mr Parmesh, a resident of Tuatua Housing, for calling NFA in time,” he said. Mr Parmesh said he was at home when he saw the garden beside the church on fire. “I immediately dialled 911 and some moments later the NFA arrived.” Mr Parmesh said. He said the owner of the garden was away and no one knows who had lit the fire. NFA chief executive officer John O’Connor said NFA was always prepared to respond effectively to any fire calls. “I urge members of the public to please call the NFA on 911 or 910, even if it is a small fire. “Do not try to put out the fire yourself as in some cases it can spread very fast. “Never underestimate the wind direction, always think wisely and call NFA,” he said.